MOSCOW, December 4. /TASS/. 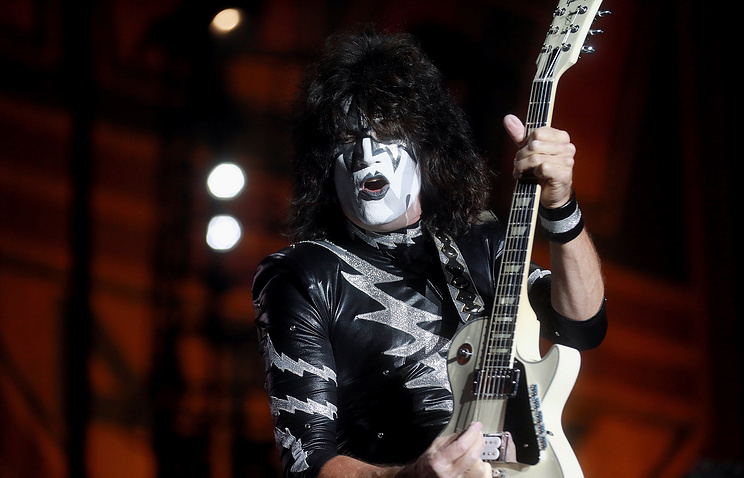 Legendary American glam rockers KISS want to leave the stage at the top of their form, making their final shows their best, the band’s guitarist Tommy Thayer said in an interview with TASS. The band’s farewell world tour titled the End Of the Road is to kick off in January 2019, performing on June 11 at the Ice Palace in St. Petersburg, and on June 13 at the VTB Arena stadium in Moscow. “Gene Simmons, Paul Stanley, Eric Singer and myself, we decided that while the band is still very good and we are doing the best shows, we have been doing…in the history of the band, that we wanted to go out when we’re in top form and do a final tour,” he explained. 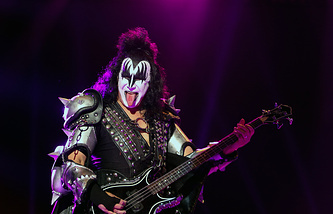 He went on to note that when comparing the shows of such rock stars as the Rolling Stones or Paul McCartney, KISS’s performances are far more “physically taxing” due to all the group’s gear and the “physicality of the show”. If the band continues to do it, year after year it will be difficult to keep it up. Thayers explained that the two founders of the band - vocalist Paul Stanley and bassist Gene Simmons are about 70 years old now and want to end their career. He admitted that KISS had already done a farewell tour in the early 2000s and after that tour, the two other original members - guitarist Ace Frehley and drummer Peter Kriss left the band. However, this time the farewell is real. “It is not a gimmick, it is legitimate. This will be the final tour of KISS. The shows in Moscow and St. Petersburg will be the last KISS is going to play there,” Thayer vowed. The rocker predicts that the coming tour will become the biggest in KISS history. The show will use new pyrotechnics, and the set list will include the best songs of the band’s 45-year career. Thayer said that he is not going to retire from music business after the tour ends. “I am younger than the other guys…maybe I will still be involved with KISS on a different way,” he said adding that he has been involved with KISS for 25 years (not only as a guitar player). The musician plans to take part in other projects. "It will probably be something which is associated with music or the entertainment business for sure,” he noted. KISS was founded in 1973 in New York City. The rockers are known throughout the world for their trademark black-and-white face paint and flamboyant stage outfits. The group shot to stardom with their extravagant live performances, which featured fire-breathing, blood-spitting, smoking guitars, shooting rockets, levitating drum kits and pyrotechnics. Over their 45-year career, the band sold over 100 mln copies of their albums. As far as rocking Russian audiences goes, the quartet performed in Moscow in 2008 and 2017.